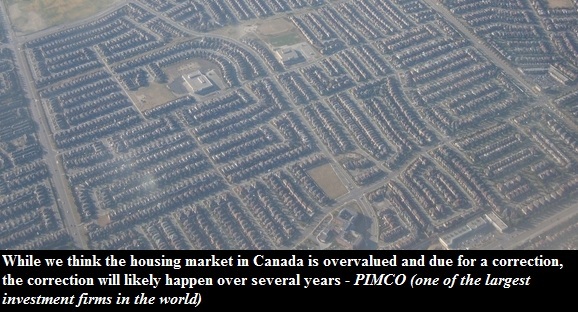 The world's largest bond investor, PIMCO, recently stated that Canada's housing bubble will be the next one to burst. In fact it expects home prices to start falling this year. 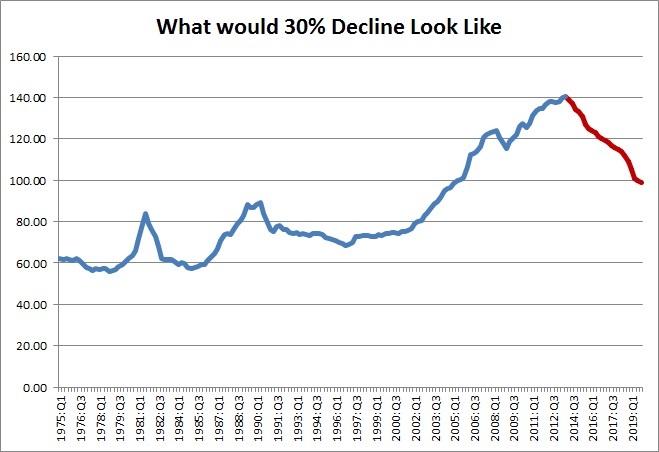 PIMCO believes that home prices in Canada will decline between 10% to 30% over the next two to five years. The average home price in Canada was $389,119 in 2013. If prices were to fall 30% that would move the average price to $272,000. Yet PIMCO doesn't see a real estate meltdown. In other words, no housing crash unless a sharp spike in interest rates or unemployment or severe disruption of a mortgage credit were to occur. PIMCO expects an orderly cooling. PIMCO defined the correction as a bubble not bursting in a disorderly manner. You can read a PIMCO memo on Canadian housing market here. That being said, I think that chances are, once the real estate market starts cooling, lots of unexpected things could happen which would make the situation much worse. Ukraine might be one such thing, but more on that later.